So I’m finally climbing back in the saddle after a week of very heavy travel, featuring four plane trips that included a red eye flight from the west coast followed by a half-day meeting that I somehow managed to remain awake for, class at Ashland last Monday, two speeches, and lunch yesterday with Howard Baker and two other former U.S. Senators. I’ve got about a dozen blogposts to catch up with. Stay tuned. I’ve simply GOT to clean up my home office, which looks like a Santa Ana wind has blown through it. The conventional wisdom about blockbuster movie sequels is that the second acts are seldom as good as the originals. The exceptions, like The Godfather: Part II or The Empire Strikes Back, succeed because they build a bigger backstory and add dimensions to the original characters. 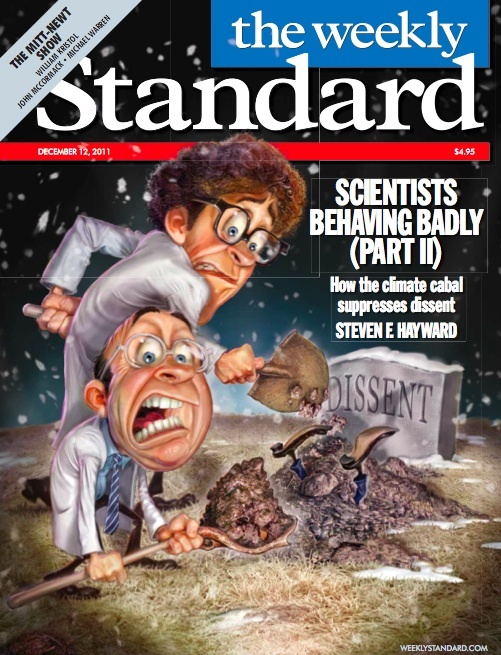 The sudden release last week of another 5,000 emails from the Climate Research Unit (CRU) of East Anglia University​—​ground zero of “Climategate I” in 2009​—​immediately raised the question of whether this would be one of those rare exceptions or Revenge of the Nerds II.